Renovations are in various stages of completion at the Jerusalem Gate Hotel, located on Yermiyahu St. at the entrance to Jerusalem. The hotel has around 300 rooms (28m²) suitable for double, triple or family occupancy, and four 60m² suites with a balcony. Renovated rooms feature new carpeting, furniture and bathroom, in addition to a refrigerator, bedside charging sockets, a desk, flat screen TV, safe, coffee making facilities and free WiFi. The lobby lounge has also be upgraded with new furniture. The hotel became Glatt Kosher 12 years ago and offers a buffet breakfast and dinner, with the option to cater lunches for groups. “We are one of the leading hotels in the area in terms of our cuisine, especially considering we are catering to a large number of guests at one time,” outlines Avin. 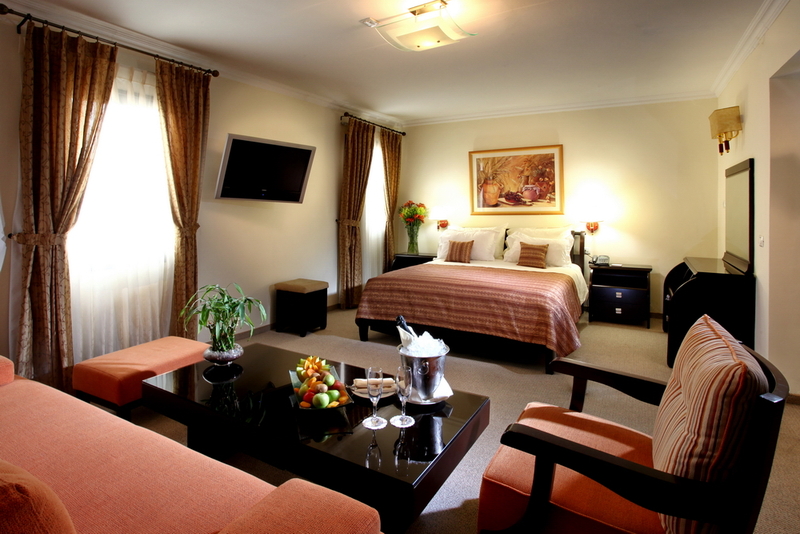 “The hotel was built primarily to accommodate groups and we are more than equipped to do so. We have the capacity to offer up to 50 rooms at a time for groups, parking spaces for 15 buses and we are located right at the entrance to the city for convenience of onward travel.” Around 70 percent of guests are incoming, 80 percent of which are groups from markets including Europe, Indonesia, China, India, North America and the United Kingdom.